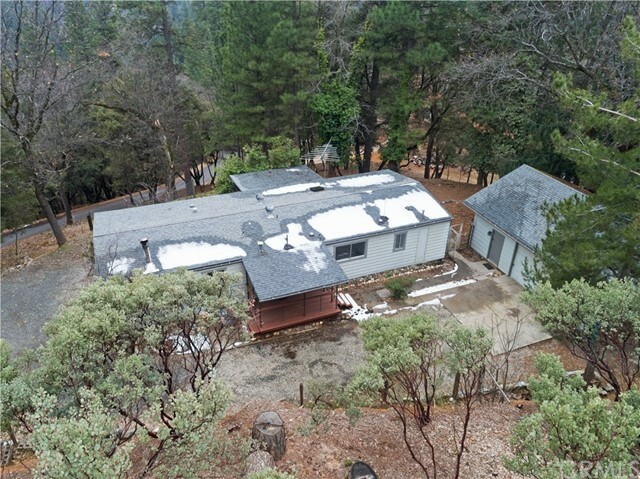 All Grass Valley homes currently listed for sale in Grass Valley as of 04/19/2019 are shown below. You can change the search criteria at any time by pressing the 'Change Search' button below. If you have any questions or you would like more information about any Grass Valley homes for sale or other Grass Valley real estate, please contact us and one of our knowledgeable Grass Valley REALTORS® would be pleased to assist you. "Most of this 3 bed home is on 1 level with crowd sized living & formal dining rooms, updated kitchen featuring a Bertazzoni range, granite counters, breakfast bar, bar sink & adjacent family room opening to deck, 2 fireplaces, dual paned windows & 2 car garage. Walnut engineered hardwood floors for the main living spaces, carpeted bedrooms, this home also offers an inordinate about of storage spaces. All the bedrooms are spacious, easily handling a few beds if needing to double up. Master suite offers a walk-in closet, dual sinks & shower. The lower level offers its own entrance, (or accessed from the house) bath w/shower, 1+ garage & storage so might make for a good guest quarters or play room. Plenty of space to park an RV behind the gate or storing your boat. The backyard of this 1/2 acre lot is fully fenced to keep your pets and children safe, has a raised garden bed to grow your own veggies. Plenty of room for everyone to come over and play so start planning your summer now!" "Cute gingerbread charmer in the Serra Foothill of Grass Valley. Warm southern exposure on a quiet street, next door to the historic Empire Mine. Spacious backyard and garden area awaiting your dreams. Walking distance to down town and easy freeway access to Truckee, beautiful Lake Tahoe or Reno." "The perfect mountain retreat! 2 bedroom 2 bath home WITH another 1 bedroom 1 bath room with attached large shop. Beautiful views of the Nevada County hills. Spacious lot that makes you feel you are in a world of your own. Newly Painted inside and out. New flooring, new A/C unit, all ready for you to just put the key in the door and move in. Community pond nearby. Close to the Nevada County Airport. You have to see this home today! Home is manufactured and built in 1973. Please call agent for more details."